Do you remember your childhood? Where you played? Who you played with? The great secret places, the fun, the danger, the freedom, the smells, the long days, the exhaustion? Did you take risks? I know I did. Children need and want to take risks in order to explore their limits and to gain new experiences for their development. An injury can be distressing for children, and for those who care for them, but the experience of minor injuries is part of childhood and has a positive role in their development. 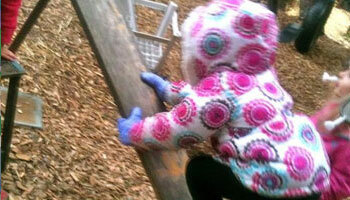 Most risk-taking is done independently with children but often children take risks while interacting with others. Through these activities, children exercise their ability to assess risk and learn what’s safe and what’s not. Risky outdoor play provides a unique environment where they can figure out how the world works, learn to work well with others and find creative solutions to problems. Children who engage in risky play are more likely to experience positive emotions such as enjoyment, excitement, pride and self-confidence. 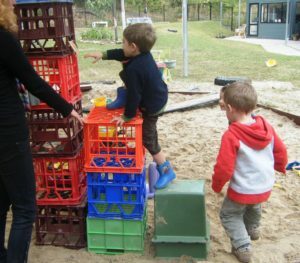 By allowing them to participate in risky play we are demonstrating that we trust them and that they are capable of problem solving for themselves. 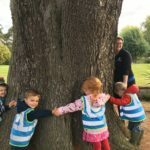 Letting children engage with the natural environment boosts problem solving skills, focus, self-discipline as well as cooperation and self-awareness. Emotional benefits include reduced aggression in some children and increases happiness. Also, most importantly the big benefit of being a healthier child. 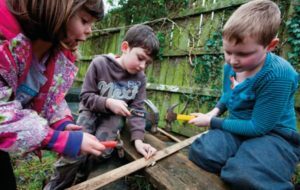 A great way to encourage children about safety through risky play can be done through the use of everyday tools. Small hammers, screwdrivers, large headed nails and screws etc. Within a safe and supervised environment we can teach them to respect danger and manage risks and also useful practical skills which they can later use for their own benefit or pleasure. We can offer blocks of wood, large headed nails or screws to enable children to refine fine and gross motor skills by using tools. This kind of play opportunity allows children to grow, promotes resilience and confidence in their problem solving skills and helps them make decisions about their safety. Children develop best when we educate and encourage them to take challenges rather than shielding them. When we allow them to take risks, they might even surprise us with how well they thrive with responsibility. We as practitioners also need to think how we talk to our children when they are playing. To help create adventurous children it’s also about building them up through our words and actions, showing joy in their achievements and in them attempting to do something. Our words can be powerful and as simple as “You can do it”, “How can we make that happen?”, “Wow you did that so well” and “Lets try that again”. Gentle positive ways of encouragement to keep them going and to not give up. 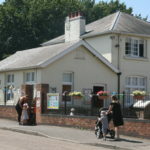 I was allowed to access lots of risks as a child and growing up with two brothers, climbing trees, falling out on occasions which I still have the scars to prove it, but more importantly I gained experiences and memories as well as enjoying the freedom and fresh air, the den building and making friendships. Learning to be independent and realising I could do things for myself if I tried hard enough – I made it and I’m still here! Sensory play: Why is it so important?